I did a bit of search and don't see this problem mention. This starting to happen recently like 2 or 3 days and only on TN website. I would go to TN website and to a forum. All is loaded including ads. 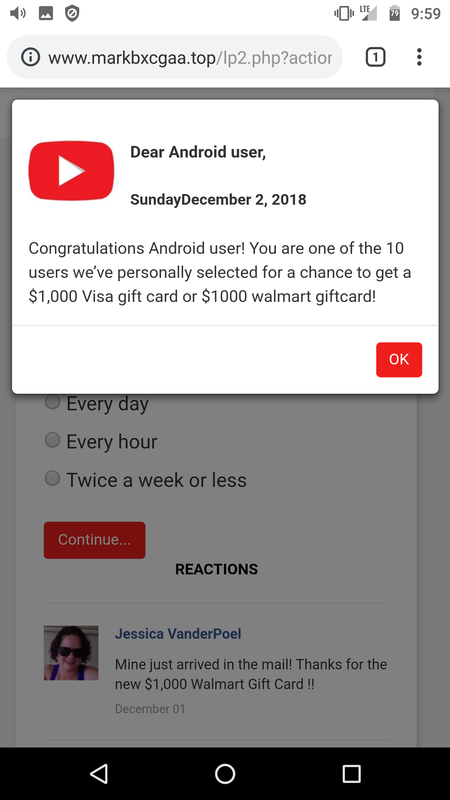 After reading for about 1 min, TN page certain gone and the ad page load from "www.markbxcgaa.top/" saying "congradulation". 1) pop up block and redirect is disable... not allow. 2) clear cookies and history like "heartdisease" suggested, no help. 3) update to latest chrome. Anyone have this problem and know any fix? The next time you encounter this, grab us the link of the pop-up. We'll send it up for blocking. Thanks Ed for the respond. Here is the screen shot and I can't seem to put my hand on it through the online search. Some say it's the DNS got 'hacked' while others say it's ect ect. Only thing they agree is Google Chrome. Anyway, I boot into safe mode by holding the "Power Off" and clear the Chrome data for the 4th or 5th times. Boot back into normal and go back into TN and been over 4 mins and still no redirect. Seem it's still have problem. Let me install one of the virus scan app and scan. Norton antivirus? Scan found nothing. Screw it, I'm disabling chrome. Sent that up to get looked at.